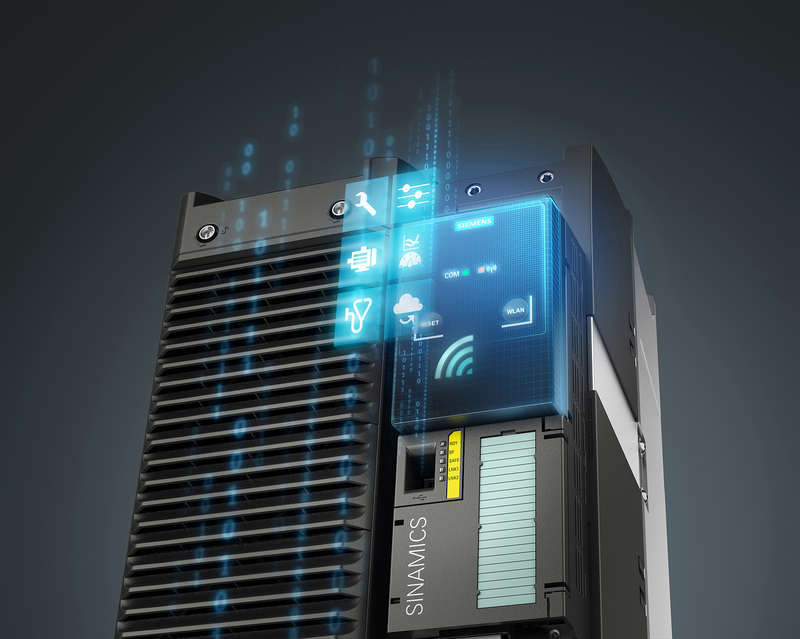 Siemens has expanded its Sinamics G120 drive series to include an option for wireless commissioning and service. The new Sinamics G120 Smart Access module enables wireless connectivity of mobile devices such as tablets, smartphones and laptops over Wi-Fi to Sinamics G120 and Sinamics G120C drives. The module is setup in a few easy steps using a standard web browser and any standard operating system. Its built-in web server functionality eliminates the need to download additional software, and with its intuitive user interface and menu, the Smart Access module offers users outstanding convenience. The Sinamics G120 Smart Access Module is available for G120 drives with CU230P-2 and CU240E-2 control units as well as Sinamics G120C drives. Users are free to choose any web browser and any smartphone, tablet or laptop for drive commissioning, parameterization and maintenance. Motors can even be tested in JOG mode. Warning signals and error messages are quickly detected over the wireless link, which can also be used to save or reset drive settings. The Sinamics G120 Smart Access module includes a function that enables the settings from one drive to be copied, sent to other mobile devices and used to commission additional drives. “This provides an enormous time-savings when handling several drive units. It’s also possible to use the Sinamics G120 Smart Access module between different drives of the same series, allowing them to be commissioned using a single mobile device,” says Robert Soré, product manager, Sinamics general purpose drives. Siemens Digital Factory (DF)offers a comprehensive portfolio of seamlessly integrated hardware, software and technology-based services in order to support manufacturing companies worldwide in enhancing the flexibility and efficiency of their manufacturing processes and reducing the time to market of their products.